It’s been a while since we’ve updated this blog… Been too busy DJing! But, I did want to take the time to share that we’ve been featured on AOL-owned, Patch.com, a hyper-local news website. 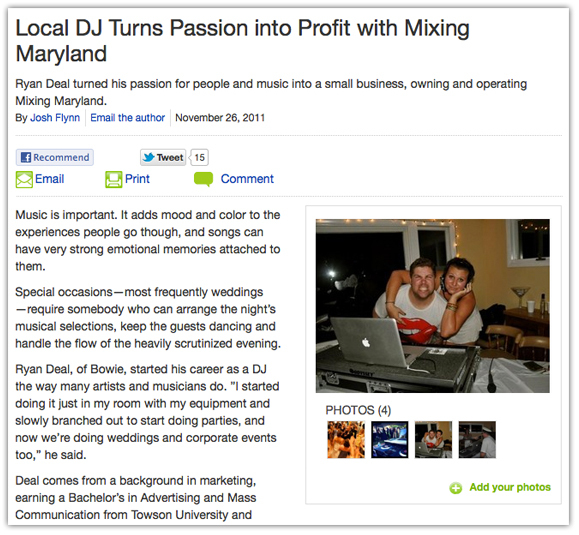 The article titled, Local DJ Turns Passion into Profit with Mixing Maryland highlights our passion for music and how we got into the DJing business.